Date: Oct 5 2018, 7 p.m. - 10 p.m. The 2018 One Act Play Festival and Theatre Skills Workshops bring together Army Entertainment Volunteers and Staff to celebrate the art of One Act Plays. All events are open to the general public and are FREE. Army Entertainment and military theater programs across Europe present One Act Plays and are judged by professional adjudicators. Awards are presented for acting, directing, technical production and other achievements. The "Best Play" is the American Association of Community Theatre (AACT) Region X nominee and represents overseas military theaters at National AACT Festival in June, 2019. The Festival includes FREE workshops in singing, stage combat, acting, mime and directing. Participants may also compete in a Monologue Competition with trophies awarded the top three. There are also free prizes and giveaways throughout the weekend. 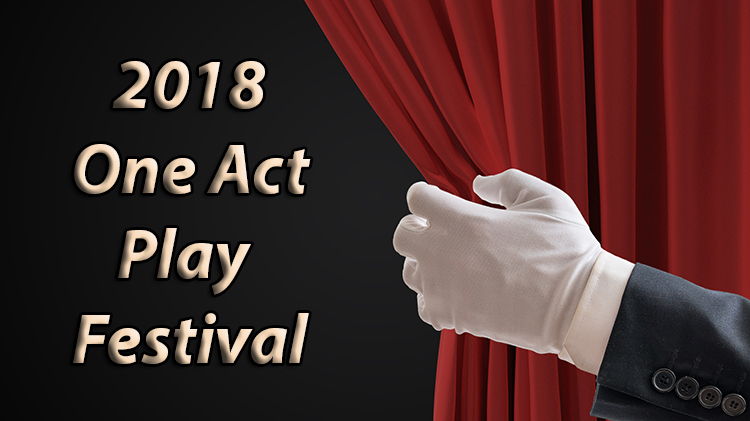 The Festival concludes on Sunday afternoon with a guest showcase presentation from the US, followed by the exciting awards ceremony when the "Best Play" is announced. Events are held at KMC Onstage, Bldg. 3232, Kleber Kaserne, Kaiserslautern and at the Kaiserslautern Community Activities Center (KCAC), on Daenner Kaserne. Follow all the developments including a live feed of performances on Facebook.